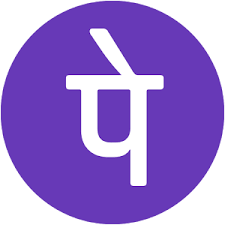 PhonePe App Refer and Earn Offer – Get 50% Cashback on First UPI Transaction + Rs 100 per Referral. PhonePe App has come up with “Refer & Earn” Program where they are offering 50% Cashback on First UPI Transaction (Max Rs 150) and Rs 100 per Referral. The Cashbacks will be credited to the PhonePe Wallet within 24 hrs. So Hurry up and avail this Offer now !! 1) First of all, Download PhonePe App Here(Install from this Link to Get 50% Cashback on First UPI Transaction). That’s it, You will get the 50% Cashback (upto Rs 150) !! 1) When an invited user does his first UPI transaction on the PhonePe app, invited user gets 50% Cashback (up to Rs 150) and the inviting user gets Rs 100 Cashback. 2) Invited user means having one who has clicked on referral link and opened the PhonePe app. 3) This transaction must be the first ever UPI transaction of the user on PhonePe. 4) Offer is valid for only send money transactions using UPI to other PhonePe users, or if a transaction is done with payment through UPI on the PhonePe app in the following categories provided on the PhonePe app – Mobile, Datacard, DTH, Broadband, Electricity, Landline, Insurance and Gas. 5) Offer is not valid for users who have made a UPI payment using PhonePe on partner applications. 7) The invited users will get the cashback for first UPI transaction only once. This will also be limited to once per Smartphone and once per bank account. 8) The Cashbacks will be credited to the PhonePe Wallet within 24 hrs. 9) A successful referral is when an invited user successfully completes a transaction as per the above conditions. 10) PhonePe has the right to amend the terms & conditions, end the offer, or call back any or all of its offers without prior notice.